Protect your investment in digital imaging technology with our unique barrier envelopes, designed to t all Dentsply, Kodak, Sirona and Air Techniques phosphor plates. Our envelopes feature a new tear-away thumb-notch opening that makes it easy to remove plates for processing. Made of soft, supple vinyl with rounded corners to maximize patient comfort, these envelopes are available in sizes 0, 1, and 2. Green, Mint Flavored. Also available in Blue, Unflavored. A thin plastic perforated sheet with a light adhesive used to cover anything that might be touched in the operatory: light handles, drawer handles, light switches, telephones, etc. Now with the Lift Edge. DEFEND Chair Sleeves are made of a clear plastic and are designed to easily fit over most chairs. These disposable chair sleeves are highly durable and easy to use. 27.5" x 24"
Tube Sox Provide surface protection for the hard to clean unit hoses and attachments such as saliva ejectors and air/water syringes. Constructed with a 1 in. lip-guided entryway to facilitate easy, quick loading with adhesive strip to tack barrier into place. 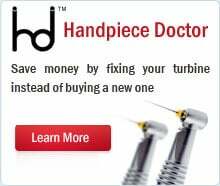 Protects the X-Ray head from cross contamination and minimizes cleaning time. Patented Fabricel offers fluid resistance and absorbency in one unique fabric. 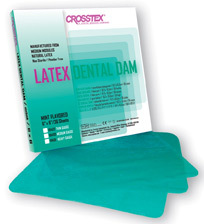 Your patient gets the comfort of soft absorbent tissue and the protection of tough poly sheeting.